Arslan Tash, ancient Hadatu, is an archaeological site in northern Syria, in Aleppo Governorate. The city was the center of an Aramean Iron Age kingdom, which was conquered by Assyria in the 9th century BC. 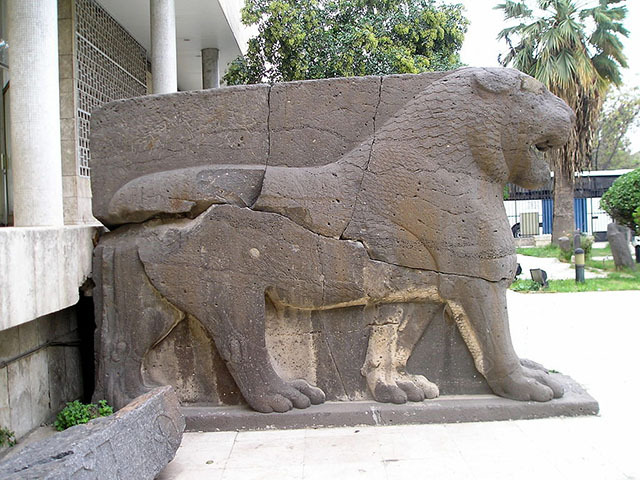 The ruins include a Late Assyrian palace, an early shrine to Ishtar and a Hellenistic temple, surrounded by city walls and gates adorned with lions carved from stone.